For every business owner, keeping costs low and customer experience flawless is important. You’ll already know that your customer service and loyalty program are the most effective way to increase sales, generate referrals and attract customers in a low-cost way. But while your loyalty program is an effective way of encouraging your customers to return to your store, it’s essential when you sign up new customers and introduce them to your program, that they have a positive first experience. Here’s how to make sure your customers have a positive introduction to your loyalty program and start off your relationship with a bang! First things first, it’s essential that your staff understand the importance of your loyalty program. Each customer that purchases at your store should hear about your loyalty program and all the cool ways they will be rewarded when they sign up for it! When staff ask for your customer’s details, make sure they phrase the question in a way that excites your customers and shows them the benefits of being a part of your loyalty program. “Do you want to subscribe to our VIP club, earn points and get discounts,” sounds much more exciting than just simply asking for an email address. When implementing your loyalty platform take your staff step-by-step through the process so they’re confident with signing up and rewarding customers. Roleplaying during training can help iron out any kinks and ensure that staff are prepared to handle customer questions along the way. TIP: When your staff tell customers about your loyalty program make sure they tell them about what they can expect when they sign up (e.g. a bonus reward or a points email etc.). When customers sign up for something they often want to know how their information is going to be used - so keep them in the loop. Making use of Loyalty point-of-sale integrations helps you keep the customer sign-up process slick over the counter and through your eCommerce checkout process. With Collect Loyalty, simply adding the new customer name and email to the sale as normal then automatically triggers a points balance email that introduces the new customer to your loyalty program and rewards, where they can complete their account with your store in return for your Complete Profile Bonus. Aimia highlights the importance of “the exchange of value for information in an environment of permission and trust”. And a slick experience will help build that trust! Quick Stat: The global Consumer Data Value Exchange survey by Microsoft found that 65% of customers are willing to provide personal information in exchange for loyalty points for services and products, while 89% will hand over information for discounts. These creative ways of signing customers up are not only a great way of reaching out to your customers organically, they are also eye-catching and help you deliver a Wow customer experience. While it’s important that you’re able to market your loyalty program, it’s essential that your customers are able to sign up quickly and simply. An adaptive, user-friendly loyalty program ensures that your customers remain active, engaged participants in you loyalty program. Asking for customer feedback is also great opportunity to talk to your customers about their experience with your program and help you refine your rewards and staff involvement if necessary. Share your loyalty program socially - Not only is this a great way of promoting your business, it also encourages your customers to stay connected with your brand socially. Adapt and improve - One of the benefits of customizing your loyalty program is that you can learn the most effective way of rewarding your customers. 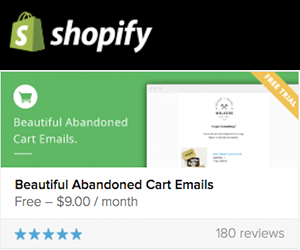 Your business is unique, so trying out different discounts, promotions or messaging and see how your customers respond. 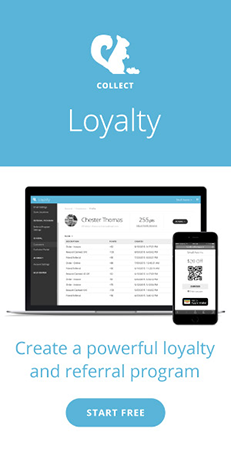 Promote your loyalty program - In-store, online, and through your email marketing and social channels. Make sure your customers know to sign up and participate. The more customers actively participate in your loyalty program - the more customers you have engaged in your business. How do you encourage customer loyalty in your business? Share your ideas in the comments below or tweet us @CollectApps.